It’s a risky business comparing different psychometric techniques - at least when in the company of ‘true believers’. Like placing the London Underground map over the London A to Z map and trying to align them - you’ll get into trouble if you insist that one or other map is the reality, or absolute truth. But, as long as both parties never lose sight of the fact these are simply maps reflecting different aspects of ‘reality’, then there is no harm. In fact it can be positively instructive. So here are a few observations on the well-known Myers Briggs test from the point of view of an astrologer. In fact, to keep it brief and simple, I will only look at the middle two terms of the Myers Briggs profile - Intuition/Sensation and Feeling/Thinking. Faced with the distinction between sensation and intuition, between thinking and feeling, the astrologer is at once on familiar ground. Thinking and feeling so clearly align with the elements air and water in the astrological chart, as do sensation and intuition align with earth and fire as elements. Read any description of the element air in an astrological textbook and it will be hard to distinguish from the qualities of the thinker - fairness, objectivity, reason, clarity, detachment and so on. Similarly with the other elements. The problem begins when we firm up these descriptions from being descriptions of qualities to being descriptions of types. For a start, astrology presents these elements as independent parameters, allowing that an individual might have both water and air as strongest elements in the chart. Whereas the Myers Briggs test prefers the more Jungian idea that we can major in just one of these - be a thinker or a feeler but not both. True, it is possible to score equally in T and F in some Myers Briggs tests, but I have seen instructions which say “if F and T are equal, score F for a man, and T for a woman” - thereby forcing commitment to either T or F.
In practice, this is not such a problem as it might seem. Because astrologers do have an understanding that these elements are very different and can be difficult to integrate. Given a chart with five planets in air and five in water I would not jump to say that the person was necessarily a brilliant synthesiser of thinking and feeling (unless other factors such as very harmonious aspects linked the elements). I would be more likely on first pass to suggest that the person had two sides to their nature - one very detached and rational, the other deeply empathetic and feeling, and that this could sometimes prove hard to reconcile. In these circumstances people often repress one side of their nature and so fall heavily towards the other - the icy academic facade, for example, beneath which we begin to discern a maelstrom of denied emotion. So these elements - in theory quite independent in the astrological mapping - do in practice tend to commit themselves along Myers Briggs lines. There is a more profound problem, however, and it is also more interesting because it casts light on the very structure of such polarised pairs. I have before me a horoscope with Sun and four other planets in air, three in fire, two in earth and none in water. What could be clearer! With five planets in air and none in water, this must be an out-and-out ‘thinking’ type and with three in fire and only two in earth the secondary quality is clearly intuition. But in the Myers Briggs test the same native scores strongly ‘feeling’ - and identifies strongly with that quality to the point of being quite dismissive of ‘head stuff’, ‘over intellectualisation’ and ‘cold analysis’. The two systems agree on the second quality, intuition, however. If we look at the wording of the Myers Briggs test we see it is strongly directed to preferences. Questions such as “Which of the following pair appeals to you more?” followed by pairings such as “compassion/foresight”, “justice/mercy”. Then there are questions such as “Are you more careful about:- A people’s feelings or B people’s rights?” Someone with a high regard for feelings and their importance would score highly as a ‘feeling’ type in such a test. But what the astrological chart is showing is not preferences, but strengths or talents. To have five planets in air is to have a large measure of the airy qualities in one’s make-up (subject to possible complications such as difficult aspects or inappropriate planets being in those signs). To be strong in a quality, however, does not necessarily mean one values it highly. In fact familiarity can breed contempt - the reason someone bows down before academic brilliance might just be because it is a quality they neither possess nor truly understand. In Betty Lundsted’s “Astrological Insights Into Personality” she compares people with less than two planets in water to those parched souls in a desert who crave that element: they “tend to milk each emotional experience for all it’s worth... when a natural dose of emotion is lacking, it is sought. So these people throw themselves into emotional situations and feel them all as much as possible... People with an average amount of water planets may feel their no-water friends are overreacting to life..” and so on. From the same text we see that the person who is short of air planets tends to seek intellectual development and bury themselves in books, whereas those with masses of air prefer to learn by communicating with people and tend to become involved in good causes and feminist groups. It is beginning to look as if the astrological equivalent of the Myers Briggs parameters are seriously out of kilter - that a ‘water no air’ type could be a cold and uptight bookworm whereas an ‘air no water’ type could become passionately involved with empathetic feelings and helping others. These descriptions - the astrological and the Jungian - are in stark contrast to the conventions of the New Age workshop where ‘feelings’ are held in such high esteem. I recall occasions when some participant who set out to communicate with the group had been shouted down by certain others with cries of “get out of your head!”. “that isn’t authentic because there’s no feeling behind it” and so on. The impression given is that the New Age represents a resurgence of feeling types who are on a crusade against a society dominated by thinking - whereas it often seems more likely that the New Age is a rallying cry for air-heads who have just discovered their buried water and are so excited by it that they think it has all the answers. To summarise: the Myers Briggs analysis seems to me to reflect one’s preferred way of functioning, and what qualities one holds in esteem and aspires to; whereas the astrological analysis reflects rather one’s strengths, or the element in which one is most at home. These two interpretations can, in some cases, lead to quite opposite results: the astrological equivalent of ‘the thinker’ is not necessarily typified by a cold academic, but can be someone who is so much at home with reason that they take its emphasis on fairness and accountability as a launching pad for a journey into the wilderness of feeling. They will communicate so openly, argue so convincingly, but more often than not it will be in the cause of feeling. Whereas the extreme equivalent of the ‘feeling’ type is someone so strong in emotional sensitivity that they may have learnt to hold it back, to work with and actually control their feelings in a way that no thinker ever could. Oh dear, our nice tidy maps are beginning to look awfully messy. The fourfold analysis into four contrasting qualities Thinking, Feeling, Sensation and Intuition - or Air, Water, Earth and Fire - looked so appealingly clear and simple. But it has turned out to be a morass of contradictions. So should we tear up these maps? Absolutely not. These very paradoxes are the keys to their truth and value - for these are maps of human beings who are themselves by nature messy and paradoxical. Is not a brash and bullying manner often the sign of an inferiority complex? In other words, is not outward arrogance often driven by an inner lack of confidence? Is it not almost predictable that the preacher who most vehemently rants against the sins of the flesh is most likely to be enjoying ‘a bit on the side’? Ramsey Dukes in his book SSOTBME argues for an understanding that such fourfold analyses are often better considered as compasses indicating direction rather than boxes delineating categories. Then many of these paradoxes find their resolution - as in the I Ching where the North side of the valley is the side of light (because the sun shines on it) whereas the South side of the valley is shrouded in shade. The most complete analysis of these polar paradoxes can be found in The Good The Bad The Funny where Philotunus argues that every duality of experience is fundamentally a trick or deceit of manifestation which can be resolved when we discover the third principle, the Mercurial solvent, whose role it is to pull the strings and weave the illusion. In his terms: for every God/Devil pair their is a Trickster god behind the scenes. That is why the most polarised hatreds will be between people who are most close in nature but see themselves as totally opposed. Discover the trick, and the battle becomes a dance, the stalemate becomes a stimulus. Another example is in Julian Vayne’s Pharmakon, where he explores the drug experience and attempts to map it in a series of contrasting parameters just as Myers Briggs and astrology attempt to map human nature. And yet he is quick to point out the paradoxical fact that drugs can also operate in a quite opposite way to our expectations - at times and in certain doses a stimulant can tranquilise and a tranquiliser can release energy; a drug that breaks down the barrier between self and others can, at times, lead us into lonely introspection and so on. All these examples lead us back to my opening observation. Maps are useful, they are illuminating and instructive, and their different wisdoms do indeed add up to a greater whole. But only so long as we never lose sight of the fact that that they are no more than maps, guides to the real adventure beyond. 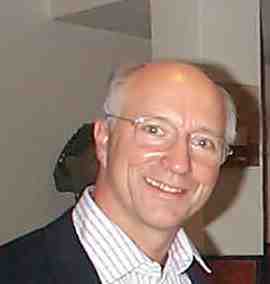 Lionel Snell is a communications consultant who also maintains a lifelong interest in occultism and the relationship between rationalism and magic. He was plucked from an obscure corner of the Cotswolds by a series of scholarships that led to studying pure maths at Emmanuel College Cambridge, then teaching at Eton. He has also been a civil servant, an aircraft stress analyst, technical author, Waldorf class teacher, publisher and copywriter.